Pastor Adeboye Praises Bishop Oyedepo At 63! Wow, just wow.. love this birthday message! I turned to the man that gave me the article to read and asked in my confusion "so where do we place Rolls Royce"? The man smiled and said "sir, you can't place Rolls Royce in this category; when we are rating cars, Rolls Royce is in a class of it's own". ......and When you are rating bishops, Bishop Oyedepo stands in a class of his own. 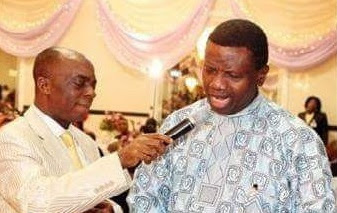 » Pastor Adeboye Praises Bishop Oyedepo At 63!